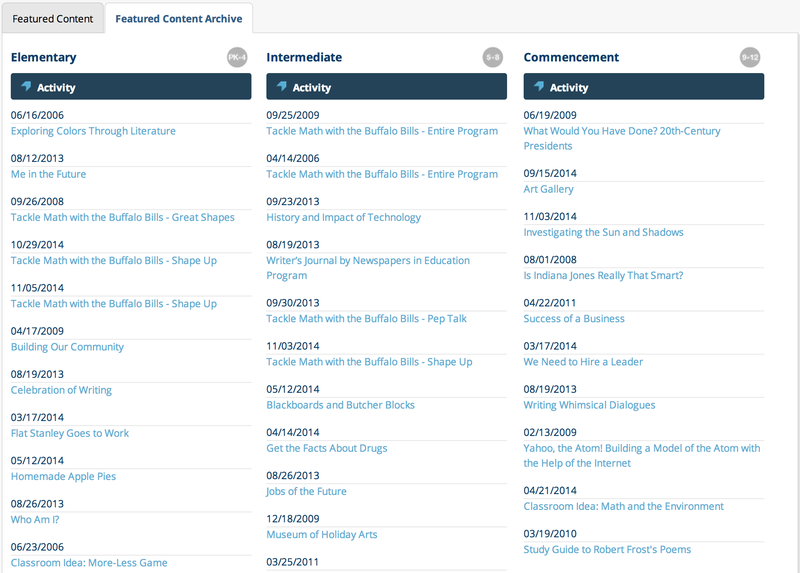 Are you tired of unsuccessful searches for new classroom content? See how NYLearns makes it easier than ever before! See all of NYLearns’ free educational resources aligned to NY State standards! Unlock imaginations and increase student achievement with the new literacy and library resources, now available on NYLearns. Introducing the Empire State Information Fluency Continuum. The Information Fluency Continuum framework is based on three standards essential for students to become effective readers and learners. These standards contain benchmark skills for grades 2, 5, 8, and 12. You can find them on NYLearns by visiting the Standards tab and selecting Information Fluency Continuum from the Subject Area dropdown. Then just choose your grade level and one of the three standards to view the corresponding benchmarks. Library media specialists can also find the standards in the alignment tool, so they can align their curriculum maps to the Information Fluency Continuum. Check out the new literacy and library resources to engage student inquiry and spark independent learning. Want to Diversify Your Lessons? Start with Our Featured Content. 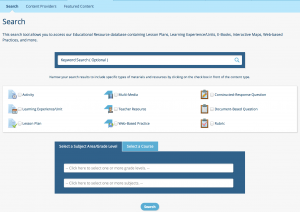 What if I told you that you could find all of the standards-aligned instructional content and educational resources you need in one place no matter what grade level or subject area you teach? Look no further than NYLearns’ Featured Content section. 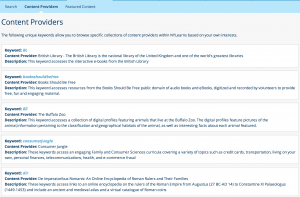 Located under the Educational Resources tab on the main menu, Featured Content offers new instructional content and educational resources, updated weekly by our team of experienced educators. 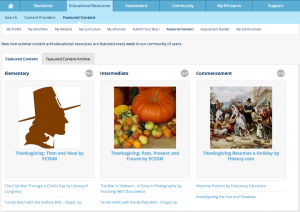 Each week, new resources like lesson plans, multimedia, activities, rubrics, web-based practices, and more, are highlighted in our Featured Content area. 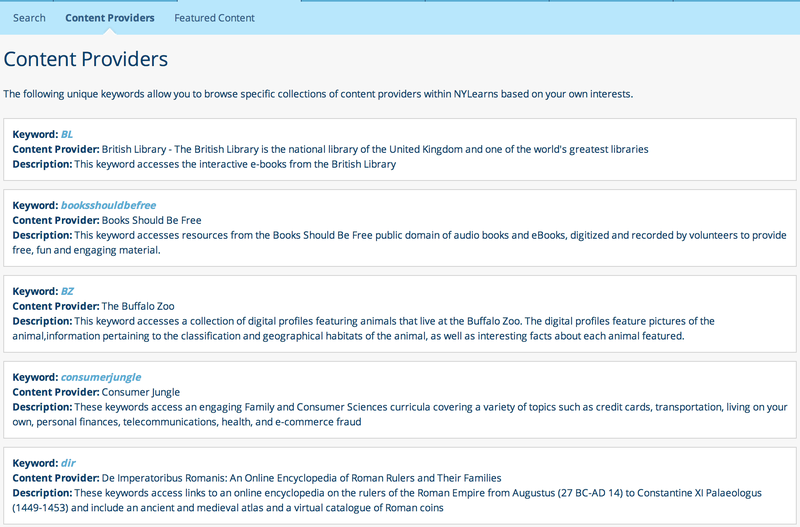 Plus all of our content is grouped by grade level, making it easy to quickly find content for elementary, middle school, or high school students. Our content team delivers quality resources that can be used your classroom immediately to help ensure student success. New Social Studies CM’s Are Here! Also be sure to check out the over one hundred model Social Studies curriculum maps featured on NYLearns. Based on the new social studies framework released by NYSED last spring, NYLearns’ social studies curriculum maps are packed with key ideas, conceptual understandings, concept specifications, and references to specific Common Core Standards. 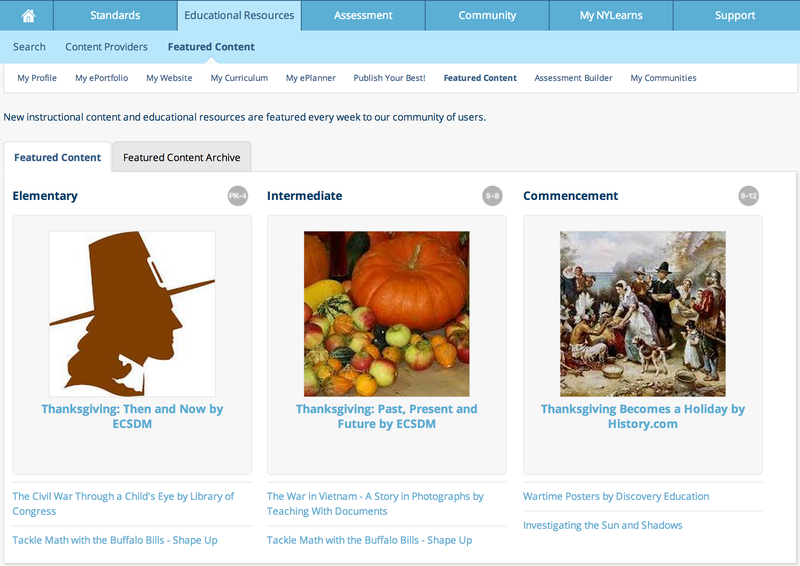 You can find the new social studies curriculum maps by visiting My Curriculum in your My NYLearns section once you’ve logged in. Use the NYLearns Model Common Core Maps tab and select “Social Studies” in the Subject Area box to find the right map for your classroom. Coming in April, we’ll also have standards-aligned educational resources and assessments for every social studies curriculum map. Until then, you can use the current framework as a template to add your own resources or assessments when necessary. Be sure to check out the over one hundred model Social Studies curriculum maps featured on NYLearns. Based on the new social studies framework released by NYSED last spring, NYLearns’ social studies curriculum maps are packed with key ideas, conceptual understandings, content specifications, and references to specific Common Core Standards. Also coming in April, we’ll have standards-aligned educational resources and assessments for every social studies curriculum map. 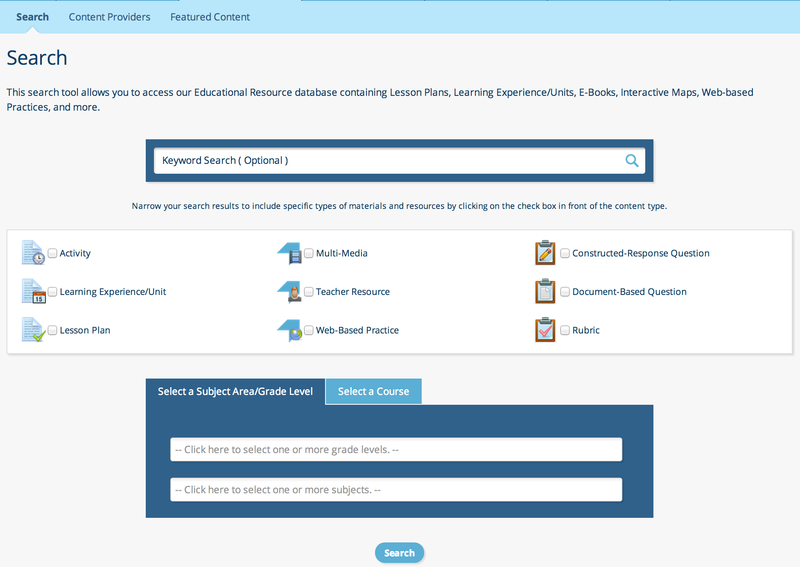 Until then, you can use the current framework as a template to add your own resources or assessments when necessary. Every NYLearns account includes free unlimited cloud storage for things like documents, videos, bookmarks, and anything else you might use in the classroom. That’s right, we said UNLIMITED CLOUD STORAGE! However, we’ve noticed that some users are deleting their documents from their ePortfolio once they’ve used them, presumably to avoid clutter. One of the great advantages of storing all of your teacher resources in your ePortfolio is being able to connect them to all of your teacher tools. For example, you can add a homework assignment to your teacher website, add an assessment to a lesson plan using your ePlanner, or even add a video to your curriculum map! But, if you delete from your ePortfolio a document that’s linked to more than one tool, your Curriculum Map and your website for example, it breaks the link in both instances. Frustrating, I know. 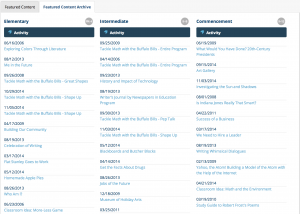 If you’re worried about clutter, create new folders in your ePortfolio based on grade level, subject area, month, or, for the avid uploaders, even the week. That way you can keep all of your documents in your ePortfolio so they’re easily accessible anywhere you have an internet connection, and you can still find everything quickly. So stop worrying about storage and start uploading! If you have any questions, or just want to send us feedback, send us a message on Facebook or Twitter using the hashtag #AskNYLearns. As educators, we are aware that standards increase in complexity and sophistication as students advance. So how can NYLearns users see the increase in rigor within a particular strand of a standard as a student moves from grade to grade? Introducing the NYLearns Vertical Viewer. The Vertical Viewer is designed to demonstrate the vertical alignment of the state standards throughout the grade levels and provide further clarity of the depth and complexity of the standards. Clicking on a cell in the Vertical Viewer allows you to locate educational resources and assessment items that can be used during instruction. You may elect to look at resources for your grade level, or you may elect to locate resources from a previous grade level for review and reinforcement, or from a higher grade level to use with advanced students. For example, a 4th grade teacher can look at grades PreK-3 and see what students should have been taught within a specific domain of the standards before they reach her. The same teacher can also look at grades 5 and beyond to see what she should be preparing them for. The Vertical Viewer is also a helpful tool for administrators who are writing curriculum, because a review of the vertical articulation of the standards can help to ensure that the appropriate concepts are being taught at the appropriate level and that concepts are not being repeated in multiple grade levels. You can find the Vertical Viewer under the Standards tab on the NYLearns main menu. Maximize your summer vacation by using NYLearns to get a headstart on your curriculum writing.